Lance Birrell is one of Australia’s most sought after solo entertainers. A multi-award-winning artist, including a grand finalist in the Golden Guitar Awards. A vocalist and multi-instrumentalist, having worked with the finest recording artists from Australia and overseas. Lance’s versatility allows him to cover a wide range of music styles from country through to rock classics. Very professional, talented and lots of fun! Based in Dubbo NSW, Lance continues to perform throughout the state during the year and also makes trips interstate to perform at various music festivals. Quirindi through to Werris Creek in NSW. 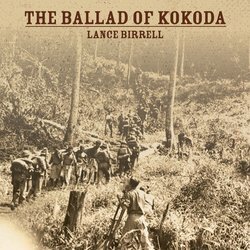 The Kokoda walkway will be a major tourist attraction across the nation.